The 10 Best Live Music Venues in Mississippi! There's just something about Mississippi that means great music. After all, Robert Johnson, B.B. King, Elvis, Faith Hill, and Jimmy Buffett have all called Mississippi home. That makes our state a great place to check out live music, and we have a ton of venues featuring everything from small blues shows to rock stars in sold-out arenas. Here are our 10 favorites. According to Ground Zero's website, Clarksdale has long been considered "ground zero" for blues music. This blues club was created by Bill Luckett, Howard Stovall, and (yes THE) Morgan Freeman to continue the blues tradition in the area. You can catch live music from local and national blues acts every week from Wednesday through Saturday. The indoor arena at the Mississippi Coast Coliseum can seat upwards of 10,000 guests, and the venue can accommodate up to 15,000 for a festival set-up. Some of the biggest names in pop, rock, country, and rap have played here, and people come from all around for annual local events like the Crawfish Music Festival, which features carnival rides, live music, and of course lots of crawfish! This awesome venue is located in a house that's over 100 years old, with a huge back patio where live music is played on the weekends. The Juke Joint is known for staying open late and having killer drink specials, so get ready to drink and dance well into the night! Smoot's Grocery is a charming old juke joint that has been completely restored into a modern blues lounge. Locals love listening to live music in this cozy, intimate setting. With incredible service, the best blues music, and a great selection of craft, domestic, and imported beers, you might never leave! Tupelo is best known for being the home of Elvis, so you know you're going to find some good music here. The Blue Canoe prides itself on being a laid-back venue with live local music. In addition, they serve an amazing burger and offer over 100 beers, 35 of which are on tap daily. The Thalia Mara Hall is a cultural center in Jackson. According to its website, Thalia Mara functions as the Municipal Auditorium for the city of Jackson. The theater, which can seat over 2,000 guests, is used to host ballets, operas, symphonies, and much more. The Lyric in Oxford is located in a building which was originally a livery stable owned by William Faulkner's family in the late 1800s. It operated as a theater from the 1920s until the 1970s, then was reopened as a theater in 2008. 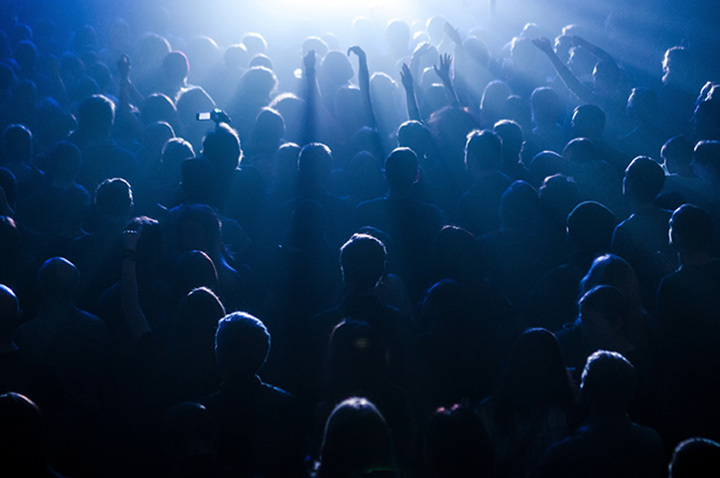 Since then, the venue has built a loyal following by bringing in awesome headliners and local acts. Hal & Mal's is a Jackson icon, offering both national and local acts to the area for years. Founded by brothers Hal & Malcolm White, the business is still family-owned and takes pride in staying true to the brothers' original vision. Come in and enjoy great food and live music, or host your own private event. Red's Blues Club is arguably one of Mississippi's best-kept secrets. It may not have the star power of Ground Zero, but this little lounge makes up for it in authenticity. If you're a fan of the Delta Blues (and who isn't?!) you've got to make the trek to Clarksdale to see the real deal at Red's. The Snowden Grove Amphitheater has only been around for about 10 years, but they've hosted some of the biggest names in music—the venue boasts appearances by ZZ Top, the White Stripes, Willie Nelson, Dave Matthews Band, and many more. This beautiful outdoor theater seats about 7,000 (including the grassy elevated area). Take the family for a picnic and a show, or plan a date night to see your favorite artist! View more Mississippi Live Music Venues.